With the advent of Industry 4.0, China’s Belt and Road and the global semiconductor recovery, we believe ISDN’s net profit will grow at an astounding 44% CAGR in 2016-19 (in part thanks to a low 2016 base) with its solid leadership position in the motion control market. Despite strong growth and net cash representing 29.2% of market cap, this laggard play is trading at much lower valuation than peers. Initiate coverage with BUY and target price of S$0.35, based on peers’ average of 10.6x FY18 PE. Initiate coverage with BUY and PE-based target price of S$0.35, implying a 55.5% upside. At 6.8x 2018F PE and 0.5x 2018F P/B, ISDN Holdings (ISDN) trades at a significant discount to its manufacturing peers. Even conservatively forecasting its hydropower business to contribute zero profits, we can still expect adjusted attributable profits to grow at a 2016-19 CAGR of 21%. Key share price catalysts include more rewards to shareholders and more orders arising from China's Belt and Road drive. Market leader in motion control with high barriers of entry. ISDN boasts close to 30 years of experience as an integrated engineering solutions provider. Frost & Sullivan puts the company as the number one and number four motion control player (which involves high entry barriers such as technical knowledge, industry partners and human capital required) in Singapore and China respectively. ISDN benefitting from the global semiconductor recovery with an 11.5% market growth in 2017. With its significant focus on semiconductor as a downstream industry, ISDN is helped by the recent global recovery in the semiconductor industry. With the World Semiconductor Trade Statistics forecasting an 11.5% yoy market growth in 2017, ISDN should benefit, thanks to its downstream semiconductor customers. Motion control solutions make ISDN well positioned to ride China’s Industry 4.0 - “Made in China 2025”. With its motion control and specialised engineering solutions, ISDN is well positioned to ride the wave of Industry 4.0 which focuses on automated manufacturing. In particular, China’s version of Industry 4.0 - “Made in China 2025” - will be the wave to carry ISDN forward, given its exposure to the world’s factory. Beneficiary of China’s Belt and Road strategy. With state-owned CRRC Corp (the world’s largest rolling stock/railway vehicle manufacturer) critical in supplying railroad vehicles in the vast railway networks under China’s Belt and Road vision, ISDN looks set to benefit with its long standing relationship supplying customised locks and hinges looks to the manufacturing giant. Potential exposure to one of the largest inter-government projects. With recent newsflow surrounding the Singapore-Malaysia high speed railway (HSR) project, we view the possibility of ISDN’s potential involvement through its long-standing working relationship with CRRC Corp as a potential catalyst. Robust balance sheet and rosy prospects call for reward to shareholders. Despite its successfully listing on the Hong Kong mainboard, share price has underperformed peers as the market awaits ISDN to reward shareholders. With 2017F net cash of S$25.9m (29.2% of current market capitalisation) and strengthening prospects, we see share buybacks or higher dividends as key solutions to solve the valuation trap. Initiate coverage with BUY and target price of S$0.35, based on 10.6x 2018F PE. undemanding valuation at 6.8x 2018F PE. 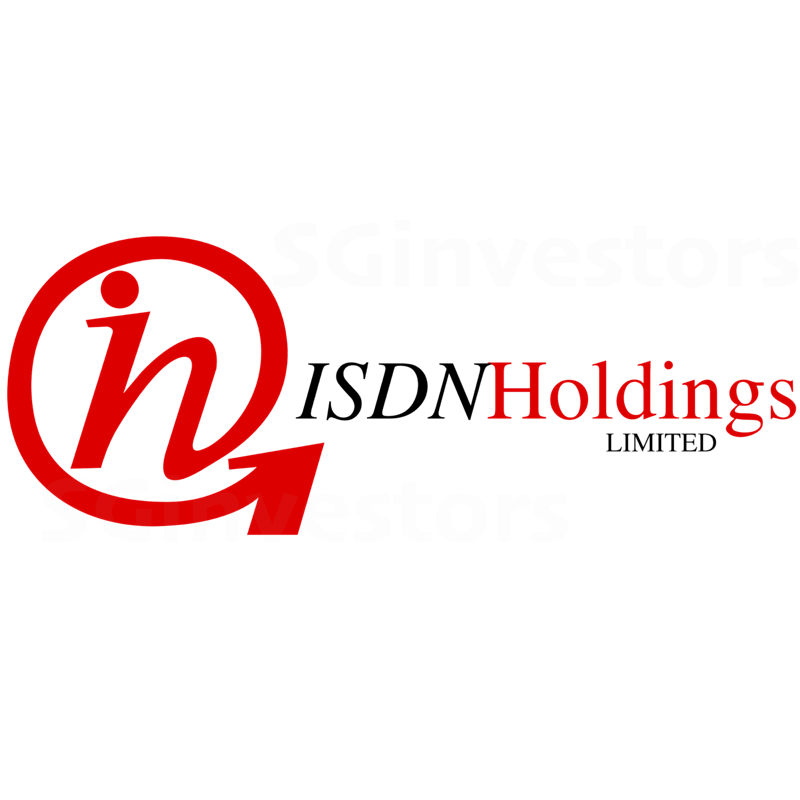 We value ISDN at S$0.35, pegged to peers’ average of 10.6x 2018F PE. Generally, the company is recognising the need for marketable innovations to engineering solutions and is answering this challenge with tie-ups and joint ventures with strategic partners. ISDN’s strategy of maintaining and growing its core products while leveraging on its technical expertise to expand into other downstream industries to generate new growth, and increasing brand presence resonates well with us. We forecast attributable net profit CAGR of 44% for 2016-19 on the back of strong manufacturing upgrades across core markets of Singapore and China aided by supportive government policies, although noting that 2016 was affected by a S$3.5m listing fee. We conservatively value earnings from ISDN’s hydropower plant business at zero. ISDN is expecting three hydropower plants to come on stream between mid-18 and mid-19.